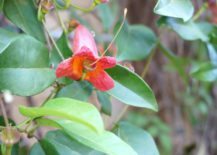 Flowering vines add color and interest to your yard, and there are many possibilities to consider. Before making your selection, do a little bit of research and be honest with yourself about your expectations for the vine. 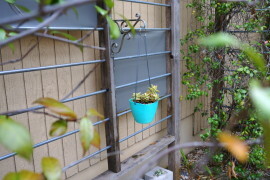 Do you want it to grow quickly up a trellis? How much maintenance are willing to put in? 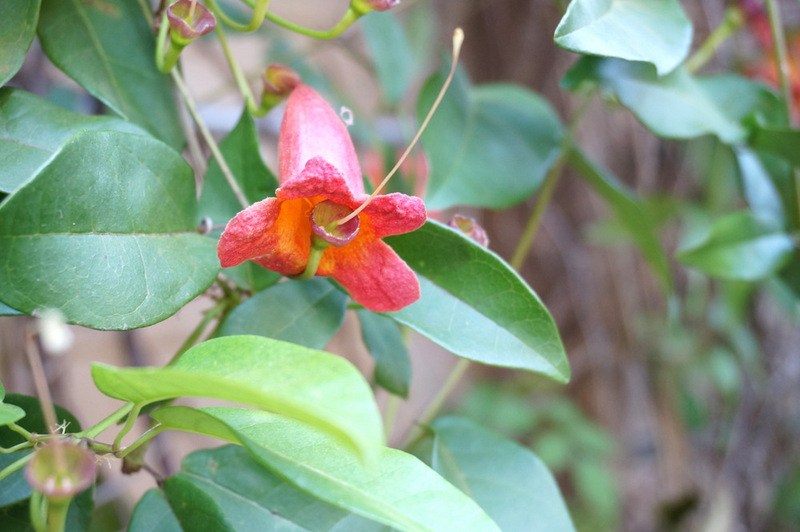 For example, trumpet vine (pictured above) grows quickly, but you really have to keep it in check! The vine will also die back in the winter, taking its greenery and blooms off your radar during the coldest months of the year. 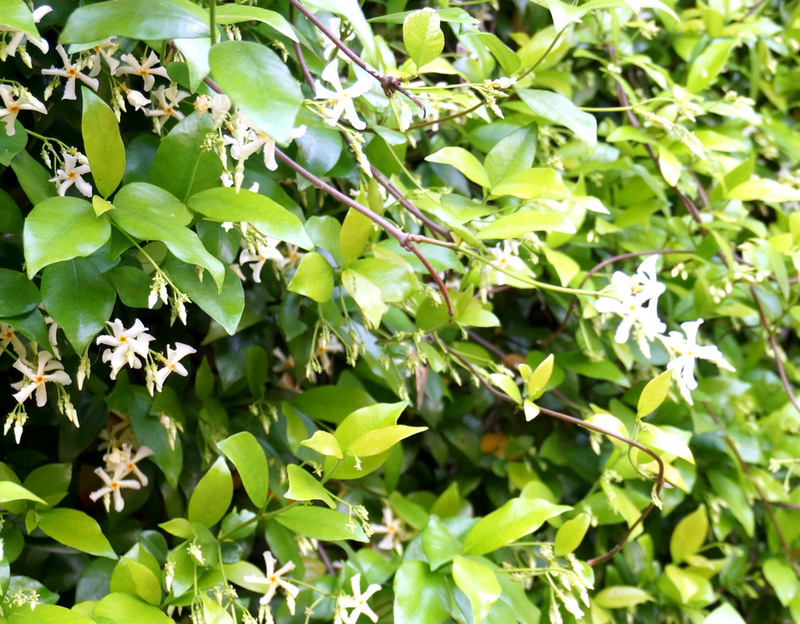 However, the jasmine pictured below stays green all year long! Yet it can take years before it produces the lush, thick carpet of greenery you’re hoping for. Talk to an expert at your nursery to determine which vine is the best fit for your yard, and how to plant it. It won’t be long before you’re enjoying some beautiful spring flowers of the vine variety! If you’re a fan of modern landscaping, you just might appreciate a plant that adds height, drama, and a sculptural quality to your yard. 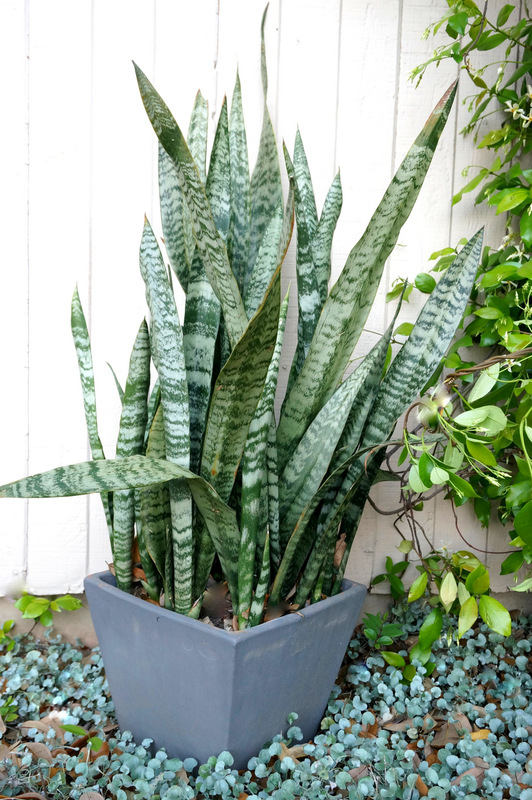 One of our favorites is the snake plant, pictured below. Also known as mother-in-law’s tongue (can you see why?! 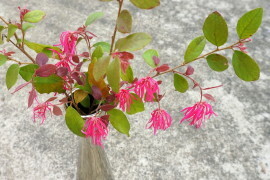 ), this selection is perfect for placing in front of a wall, or on either side of the front door for a big statement. 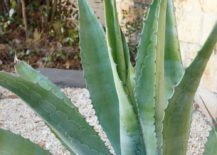 As with all of the suggestions in today’s post, do your research so you can be sure that your plant of choice matches the growing conditions of your yard. 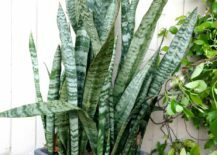 For example, the snake plant does best somewhere between the 50-85 degrees Fahrenheit range. Placing it in a planter will allow you to move it to another area if temperatures become extreme. Just as sculptural plants can add height, cascading plants add another level of landscaping beauty to your yard. 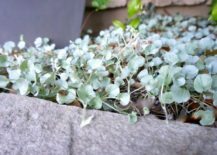 Silver Falls dichondra (also known as silver ponyfoot) has a silvery blue-green sheen, and it does well in drought-tolerant areas. 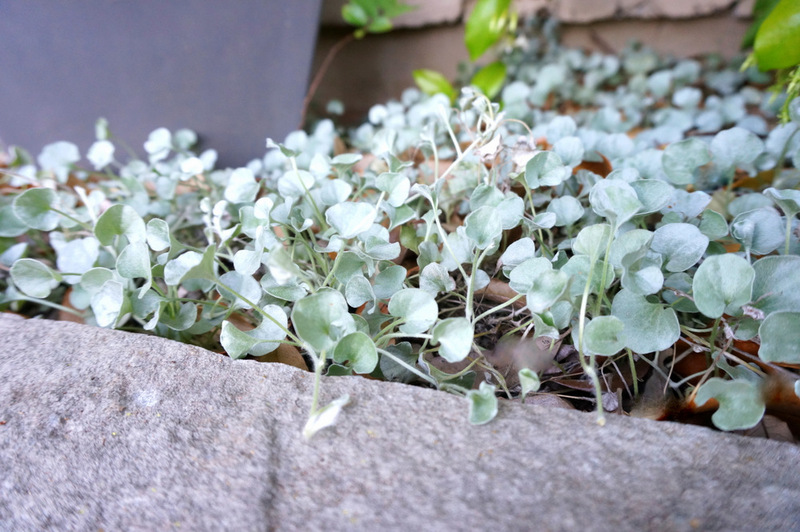 Cascading plants work well when planted directly into the ground, or you can feature them in your favorite pots and planters (even in combination with other plants). 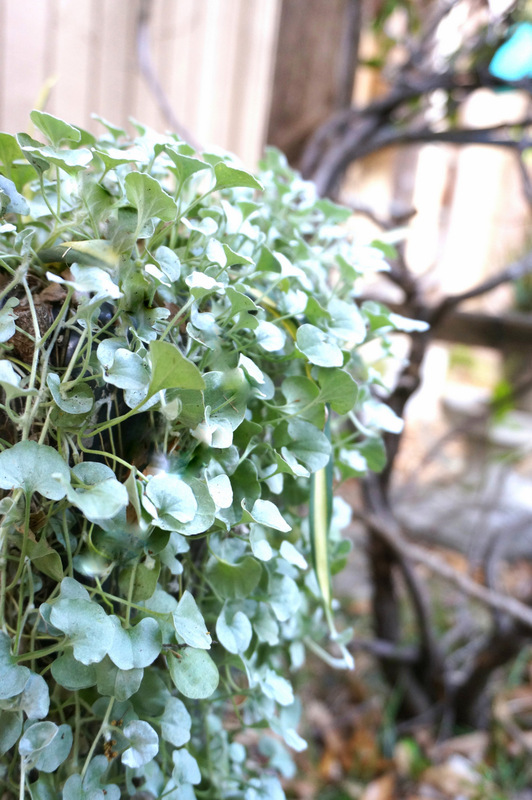 It won’t be long before your cascading plant takes root in the soil, pours over the sides of planters and walls, and add an abundant look to your yard this spring and summer! This next task isn’t nearly as much fun as the plant suggestions above. Yet it’s a necessity. Yes, we’re talking about trimming your trees! 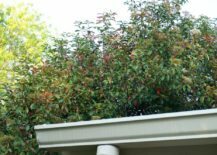 Have trees and bushes obstructed the walkways in your yard? 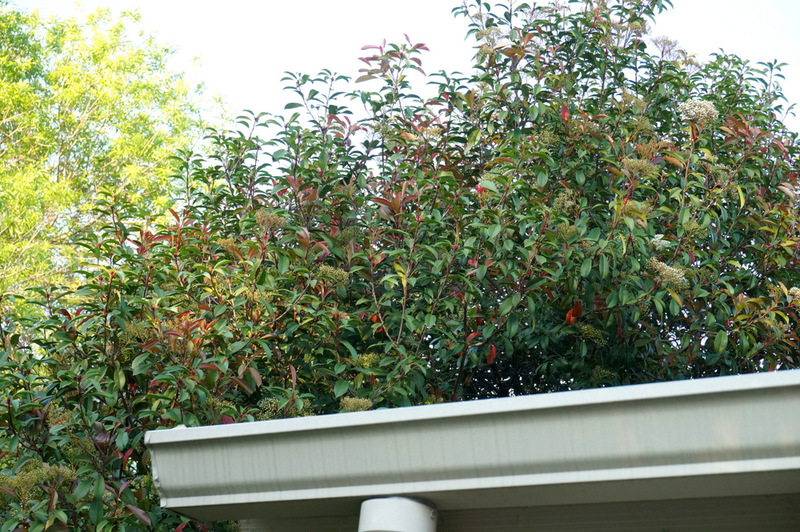 Are they getting dangerously close to the side of your house (or your roof)?! 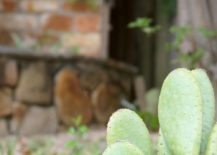 For the health of your plants, the beauty of your yard, and the safety of your home (rodents love accessing the house with the help of overgrown trees), it may be time to call in the experts. Don’t attempt to trim trees on your own without doing your research. After all, there are certain times of the year when it’s not ideal to trim. It will all depend on the types of trees you have, as well as the urgency of the issue. This spring, get the ball rolling. It’s time, folks! 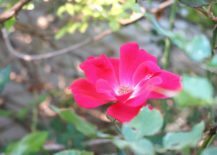 The rose bush pictured below is in full bloom. It must be spring! 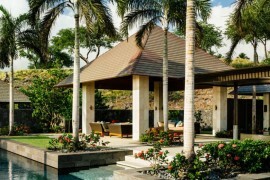 As you take in the beauty of nature, does it inspire you to add even more natural beauty to your yard? 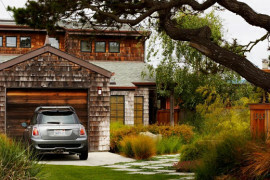 Shrubs add height, texture and variety to your yard. 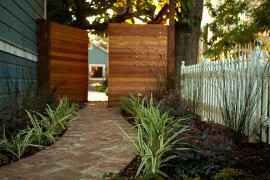 Plus, they can fill in those problem areas, even hiding unsightly features, such as the junk in your neighbors’ yard! If you’re looking for low-maintenance shrubbery, choose a selection that will thrive in your climate. 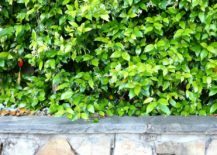 Boxwood and dwarf yaupon holly are two popular greenery options, and if you want to take them to the next level, you can prune them for a manicured look. 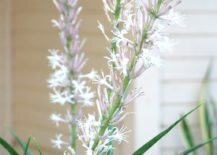 For a true low-maintenance landscaping option, go with native plants. 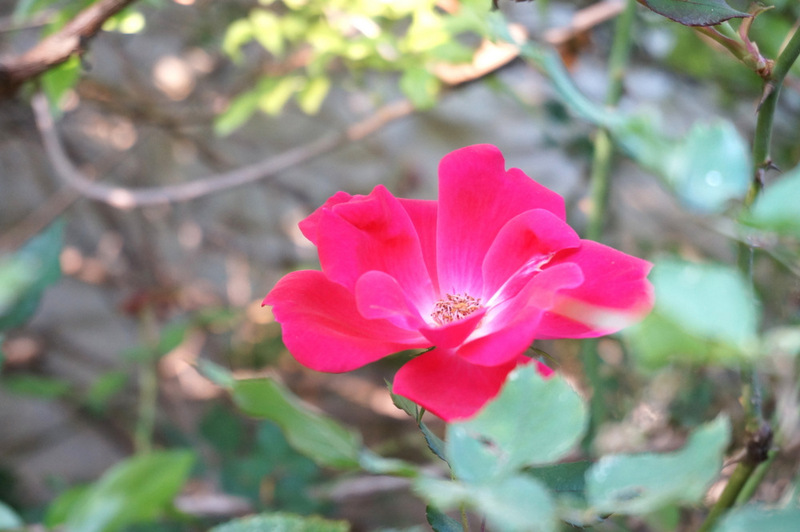 They require little care, often eliminating the need for regular watering or extra protection in the winter. A quick internet search should provide you with plenty of native options for your region. Even if you don’t live in a temperate, rain-filled climate, there will be at least a handful of options that catch your eye. 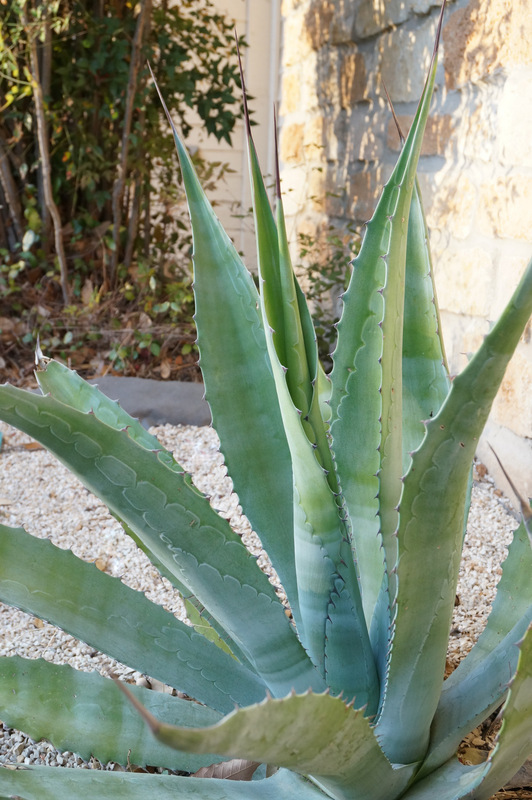 For example, blue agave (pictured above) does well in hot, sunny and dry areas. 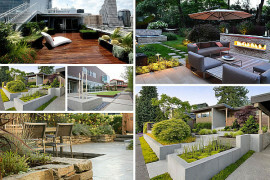 It’s hard not to notice these striking plants, which are often selected for modern landscaping. With the larger plants in place, you can now focus on icing the cake that is your yard! 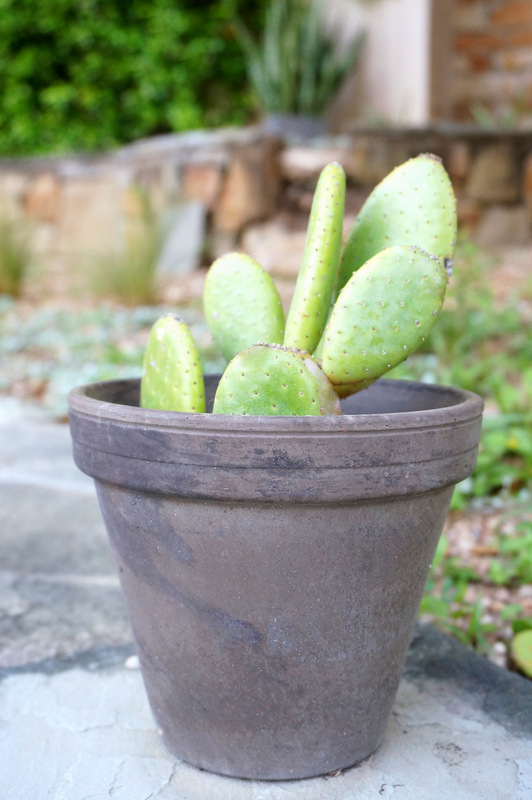 Potted plants are the perfect choice, as you can use them to fill in any landscaping gaps that your yard may have. Plus, it’s fun to add a few ornamental touches to a well-landscaped yard, and no potted plant is too small to make a statement. 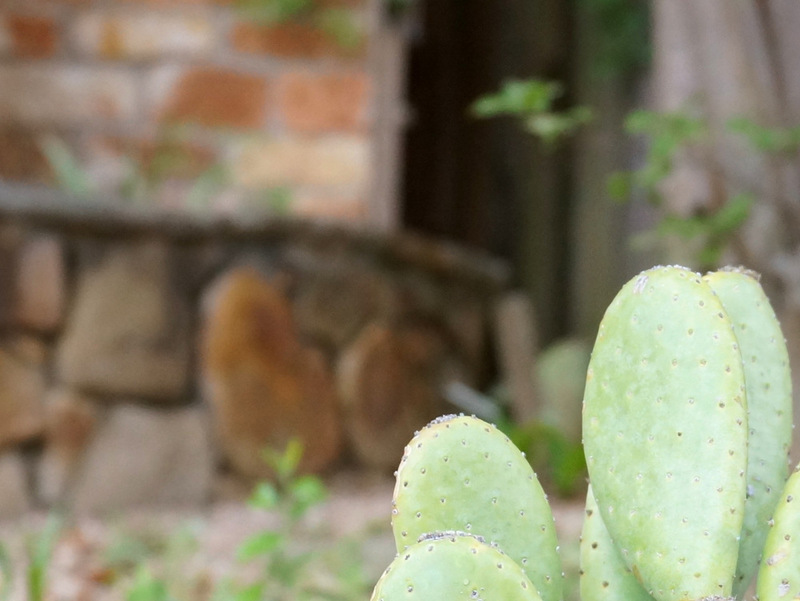 From potted cactus that creates a clean look to flowering plants that can be changed out with each new season, go with a selection that adds a pop of personality to your yard. 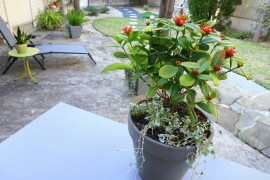 You can get as colorful as you like with both the plants and the planter. Then again, sometimes less is more, as shown above and below! 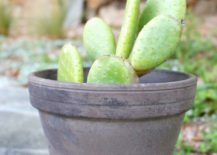 For flowering plants that can live in your pot during every season, opt for succulents that produce a flowering stalk each spring. 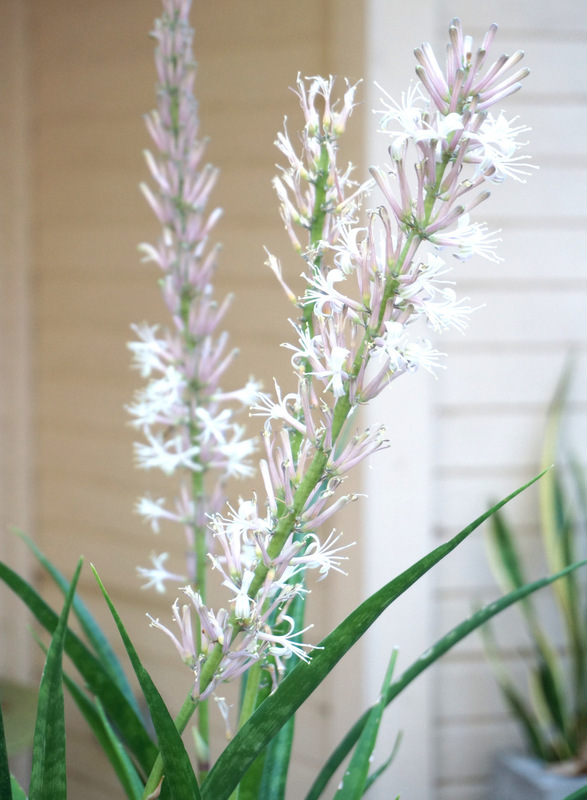 You can enjoy weeks of interesting blooms, plus year-long sculptural style when the flowers finally fall. Remember to water your potted plants, and fertilize/re-pot them as necessary. 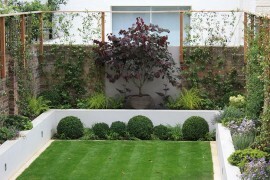 Then again, some may require very little care, making them perfect for the low-maintenance gardener. 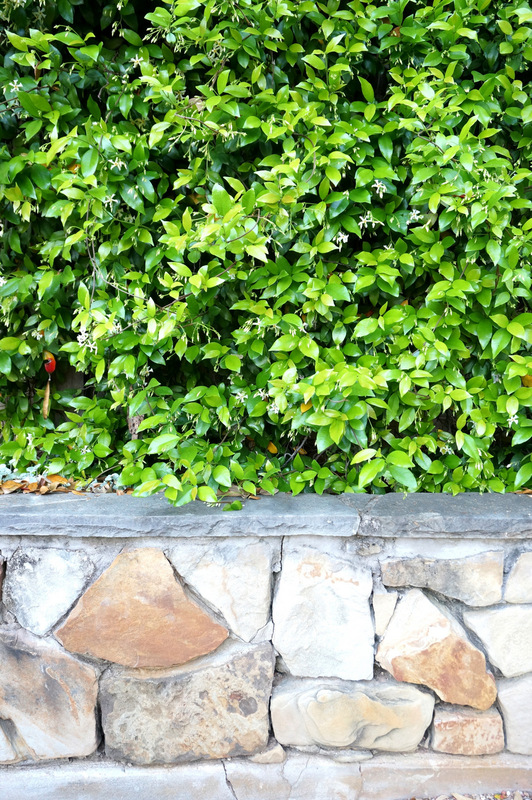 A larger landscaping task involves adding a rocky feature to your yard, such as steps, a border, or a wall. 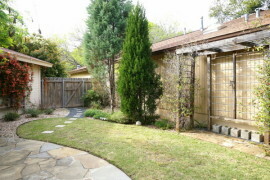 Whether the wall is purely decorative or serves as a retaining wall, the beautiful spring weather is the perfect backdrop for tackling a project of this nature. Since this is a project that will require you to roll up your sleeves, take some time to make a plan before you hit the ground running. Whether this plan involves hiring someone to do the job well or tackling it yourself, put in the effort required for a safe, eye-catching landscaping solution! If your outdoor area needs a little bit of embellishment, consider an ornament or some artwork. 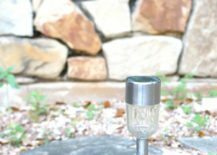 A stone garden sphere, a set of interesting wind chimes, or a yard sculpture will get the job done, adding another level of creativity to your landscaping. 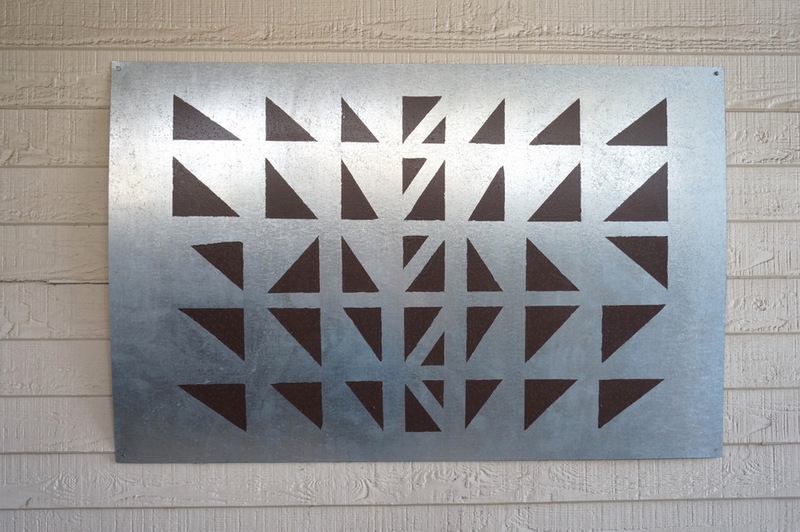 You may even choose to hang a piece of outdoor artwork on a wall of your home, especially if it borders your patio. Learn more about the DIY project above by reading this Lining-shop post. 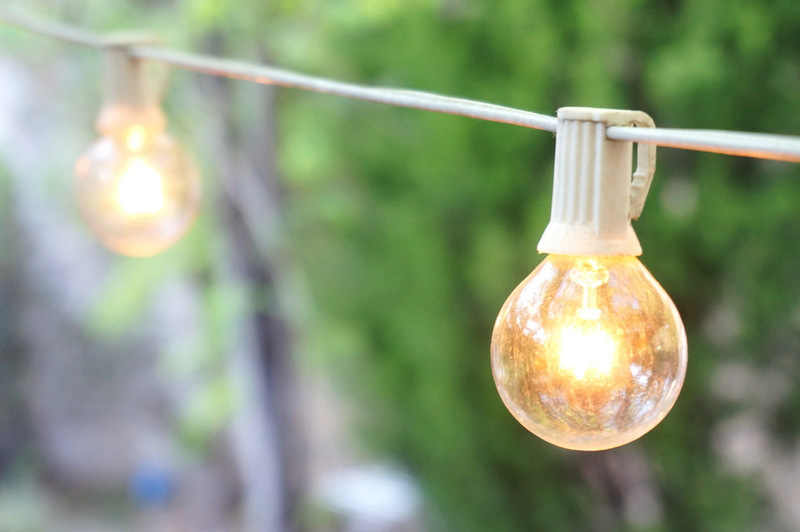 Last but not least, you’ll want to shed some light on your yard and showcase all of your hard work! Not only will a little bit of illumination allow you to enjoy your outdoor space in the evening hours, it will add a festive touch when you entertain. It’s hard to go wrong with classic string lights. Not to mention, there are many different types of outdoor lighting to consider, including spotlights and wall lights. 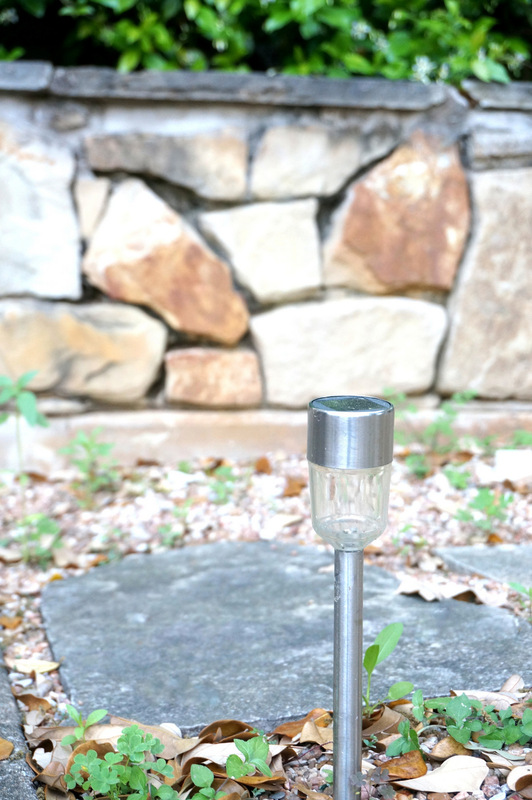 You can also opt for easy-to-install solar lights that can be placed in the ground (and require no wiring)! While you may need to replace them more often, they are also very affordable. A great option if you’re looking for a quick lighting fix! Which outdoor projects are on your spring to-do list? !